Earlier this summer, Jen (Heritage Threads) and I hosted an Christmas in July quilt along on Instagram, using the Modern Christmas Tree tutorial by Amy Smart, Diary of a Quilter. 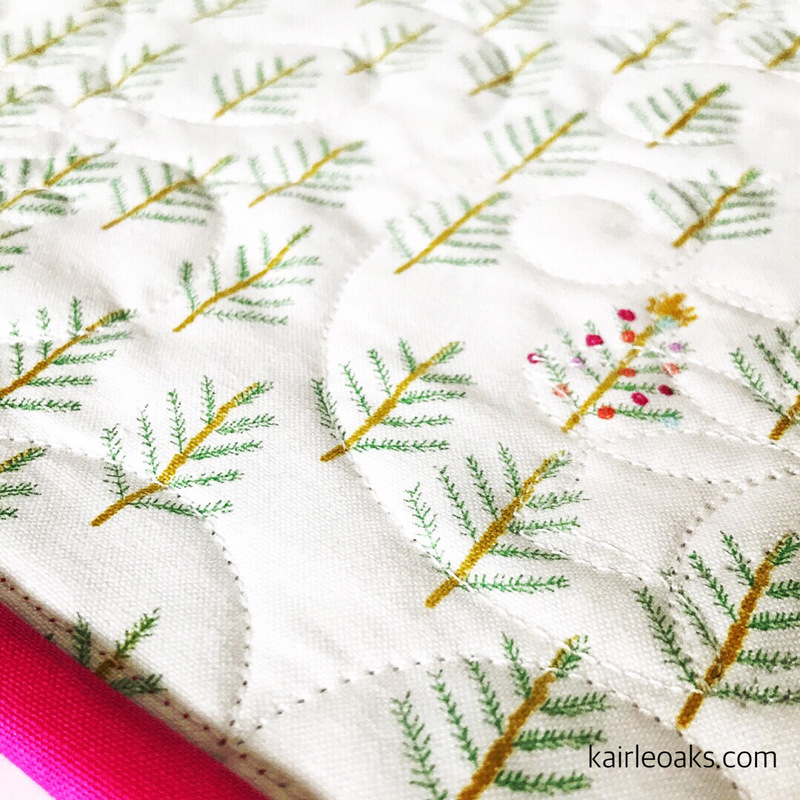 We wanted to get a jump on the busy holiday season and make a Christmas quilt when there was less stress...if that's even possible. 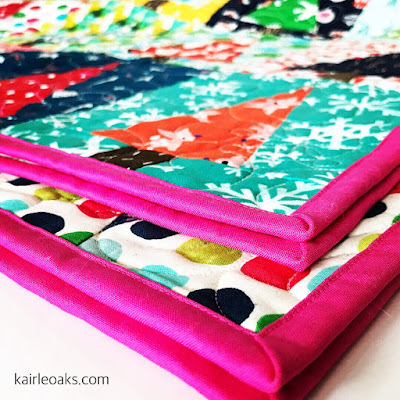 We were so impressed with the number of Instagram friends that decided to quilt along with us. Many of the quilters used the Cotton + Steel holiday lines, like Jen and I did, others used more traditional Christmas fabrics in reds and greens, and there were even one or two who switched things up and modified that pattern to makes witch hats with Halloween fabrics. These little trees that I used for the backing make me smile. Particularly the randomly decorated trees. Picking the right binding was a hard choice, but I'm so happy that I ended up choosing this hot pink solid. I love the way it frames the quilt. 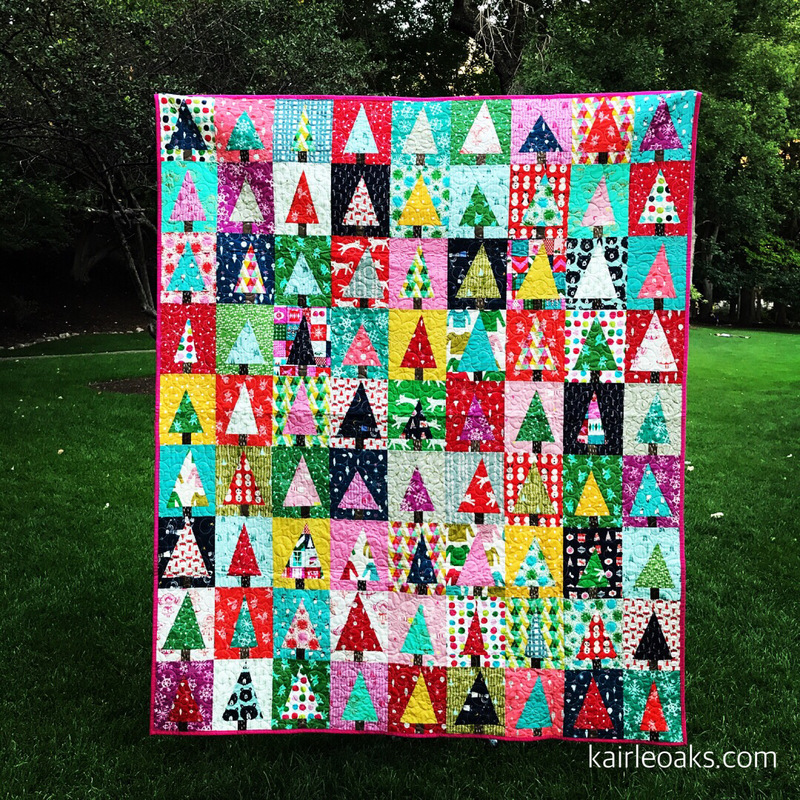 If you would like to see more quilts using this pattern, check out #holidaypatchworkinjulyqal and #holidaypatchworkforest on Instagram. You can see that I am new to your blog and am now going backwards and forewards and reading everything. I would never have dared to put these colours together but I find them phantastic! I'm so glad that you're doing a little poking around. :) Mixing these fabrics was a little out of my comfort zone, but I had seen others do it and decided to give it a whirl. Sure glad I did! just caught your photo on Pinterest...love it!! And may I say those are some mighty fine miters there!